When people in the sport of boxing discuss IBF welterweight champion Errol Spence Jr., there are certain assumptions they make about the Dallas, Tex. Native. One is that Spence (22-0, 19 KO’s) is destined to rule the welterweight class, while the other is that we should be seeing him in high-profile fights against the likes of Keith Thurman, Terence Crawford, and Shawn Porter in the future. It’s very true that Spence, 27, is one of the sport’s rising champions, but we can’t forget to look at the opponent he has in front of him. 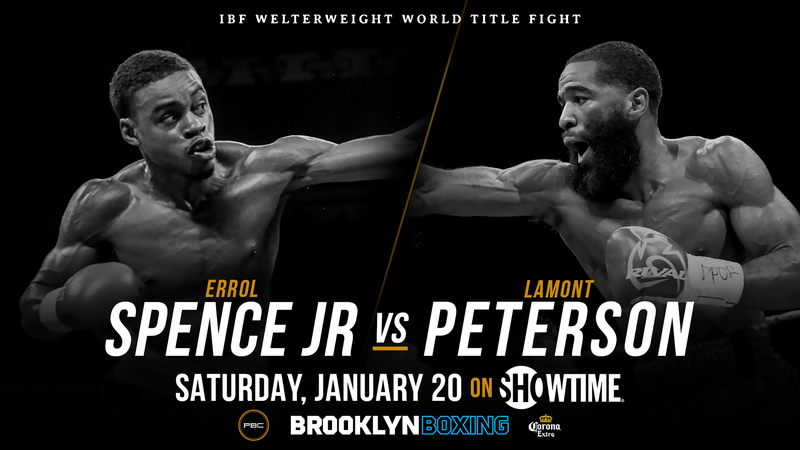 This weekend, on Saturday, Jan. 20, Spence will face off with former IBF junior welterweight champion Lamont Peterson on SHOWTIME in a fight many are assuming he will win. But one must give Peterson (35-3-1, 17 KO’s) his respect before anything else. Speaking before the fight, you can tell Lamont is ready to go. Peterson gives his respect to the young champion, but understand what lies ahead. “Errol Spence is clearly a great fighter,” said Peterson. “I can see why people revere him in that way. But on Saturday, we’re going to give him a fight and he’s going to have to prove it. Peterson last fought in February of 2017, where he decisioned David Avanesyan over twelve rounds to claim the vacant WBA welterweight title, and has been focused inside of the gym. Peterson, 33, is a consummate professional and knows what lies ahead. Peterson makes sure to refrain from any trash talk and is relying on his strengths, not Spence’s weaknesses.